This week I'm joining in the fun of Postcard Friendly Friday! I've been wanting to for a long time. Marie from France hosts this wonderful meme! Years ago I collected stamps. Now today I've taken them out and Voila! all of a sudden they are, maybe not actually vintage, but certainly old! 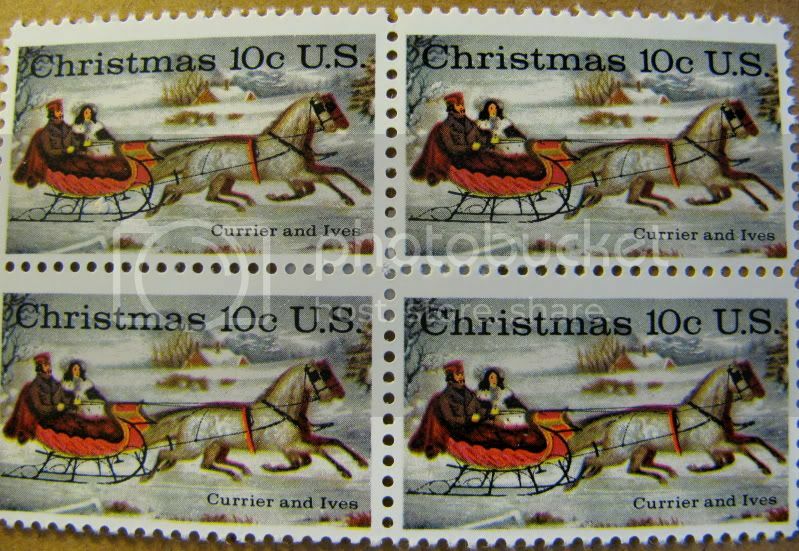 The Currier and Ives 10-cent Christmas stamps were issued in 1974, No. 41 in a series. "The Road - Winter," the subject of the 1974 Christmas stamps, was drawn for Nathaniel Currier in 1853 by Otto Knirsch, one of the many celebrated American artists Currier employed to produce drawings that were later colored on an assembly line of girls. I'm so glad to look at these stamps again! And to offer them to the participants in this meme! Maryyy! I feel so honored that you joined this week! You are such an amazing meme diva:) You've completely floored me ! Thank youuu! These stamps are just beautiful! I have a huge smile plastered on my face. I'm a Christmas baby:) Yep, My birthday is Dec. 25! Happy PFF Mary! What a fun meme. The stamps are gorgeous! Love these stamps, great post. wonderful stamps! what a great thing to collect. It strikes me how different the Currier and Ives feel was from what was going on in 1974. Happy PFF! Those stamps are lovely, and it is certainly a nostalgic meme to make you smile. Nowadays the cost of stamps increase so rapidly, it's difficult to tell how old a stamp is! 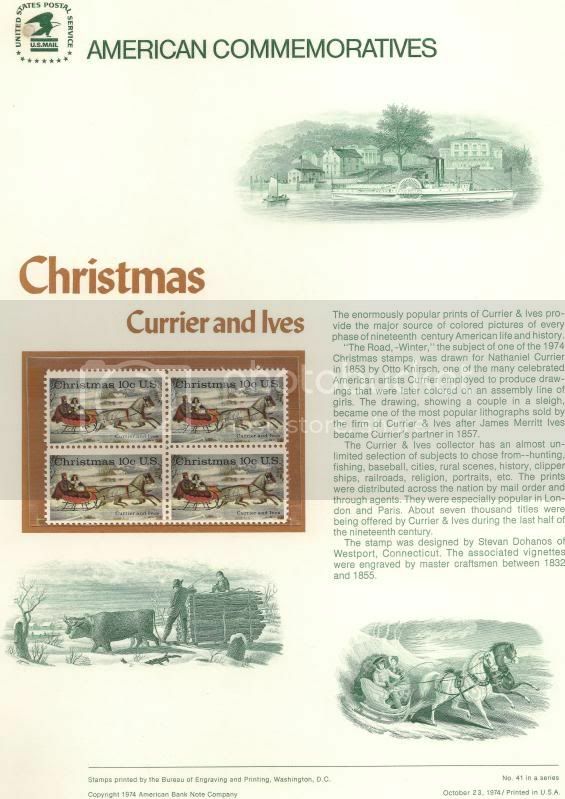 Very nice ~ I've always liked Currier and Ives, and I remember the stamps from the old days. By the way, I love the picture you have on your blog header! Your stamps are so lovely . Thank you for sharing them today. I have one of these Christmas stamps but the info is new to me, am glad you shared. Thanks for visiting my blog, about my stamps I scanned them. I'd like to invite you to play The Queen's Meme every Tuesday with Mimi Queen of Memes. P.S. Mary - I know you do Ruby Tuesday but I had to ask! I have several Christmas postcards with Currier & Ives reproductions. I also like postcards with pictures of Christmas stamps. I still have my old stamp collection though I haven't been interested in stamps since I was about 12.